Isami Doi (American, 1903-1965). "Early Spring," 1960. Oil on canvas. Purchase, 1960 (3428.1). The Honolulu Museum of Art holds a remarkable collection tracing the history of the art of Hawai’i. 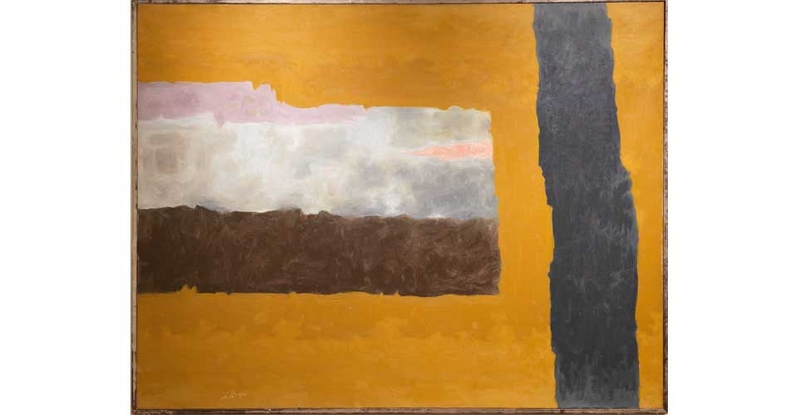 The combining of collections with the merger last year of the Honolulu Academy of Arts and The Contemporary Museum created a strong representation of abstract art produced in Hawai’i in the last half of the 20th century. This exhibition presents selected works beginning with Isami Doi, who left Hawai‘i to study, live, and work in New York City and Paris in the 1920s and 1930s, absorbing the new developments in modern art. Doi returned to Hawai‘i in 1938, inspiring a younger generation of artists—such as Tadashi Sato, Satoru Abe, Bumpei Akaji, Tetsuo Ochikubo, Harry Tsuchidana, Ralph Iwamoto, and Jerry Okimoto—who went to New York in the late 1940s, 50s and 60s, participating in the Abstract Expressionist and Minimal Art movements. Some returned to the islands, blending modernism and local cultural cues in their works, creating a new direction in the art of Hawai‘i; others remained on the mainland, but continued to exhibit in Honolulu. The self-taught artist John Young, born and raised in Honolulu, became known for a figurative style but especially for his vigorously painted abstractions. Other artists came to Hawai‘i in the post-WWII period to teach at the University of Hawai‘i–Mänoa—Ben Norris, Murray Turnbull, Ken Bushnell, Mamoru Sato, and Ron Kowalke made new contributions to the direction of abstract art in islands and taught a group of new talents who continue to live, work, and exhibit their work here, such as Mary Mitsuda, Alan Leitner, and Sean Browne.